Embark on a Himalayan trek to Indrahar Pass, a high-altitude mountain pass in the Dhauladhar mountain ranges at an elevation of 14,125 feet. En route to Indrahar Pass, you'll trek on narrow nature trails leading through dense forests of towering oak trees. In the months of winter and early summer, you'll even hike uphill through patches of thick snow covering the route. Trekking for a few hours everyday, you can rest at vantage points and catch breathtaking views of snow-capped mountain peaks of the Kangra valley and Dhauladhar mountain ranges. As the sun sets over the mountains of the Indian Himalayas, you'll stay at photogenic campsites in tents pitched under a twinkling night sky. For 4-days, you will trek on moderately challenging terrain with patches of strenuous climbs, making it a perfect trip for adventure enthusiasts looking for their next thrilling trek. Indrahar Pass connects the two neighbouring districts of Chamba and Kangra. One of the most awe-inspiring treks in Himachal Pradesh, the trek to Indrahar Pass greets you with lush grasslands and tall trees as you begin trekking from McLeod Ganj. On summit day as you reach Indrahar Pass, prepare to get blown away with beautiful views of the snow-laden Pir Panjal mountain ranges. With boulder-strewn routes that showcase a variety of landscapes from rich greenery to barren mountains, the trek to Indrahar Pass has become a celebrated adventure among trekking enthusiasts. • Climb uphill to an altitude of 14,125 feet on this trek to Indrahar Pass. • Catch stunning views of Dhauladhar mountains and Kangra valley along the way. • Spend your nights in tents pitched at beautiful campsites. • Trek on a moderately challenging route and conquer Indrahar Pass. Travellers are required to adhere to instructions of the trek leader during the trek to Indrahar Pass. For cancellations made more than 3 days prior to departure of the Indrahar Pass trek: 30% refund. For cancellations made 0-3 days prior to departure of the Indrahar Pass trek: No refund. The tour operator reserves the right to cancel or alter the itinerary of the trek to Indrahar Pass to maximize the safety of travellers as well as staff. Arrive at McLeod Ganj by 09:00 hrs. After a short rest at the McLeod Ganj campsite, you will embark on a trek towards Triund. It's an easy and beautiful trek that takes you through mixed forests of deodar, oak and rhododendron. After an initial steep ascent, you'll trek on a gradually ascending route with beautiful views of the Kangra valley. En route, you will stop to visit the Galu Devi Temple. Resume trekking and arrive at the campsite in Triund by late afternoon. Triund is a flat meadow on top of a mountain ridge with breathtaking views of the Dhauladhar mountains and Kangra valley. Overnight at Triund in tents. Begin the next stage of your trek and head towards Laka Got. A 5-hr trek on moderately challenging terrain, you'll hike uphill on narrow nature trails under dense forests with frequent vantage points to view the snow-capped Himalayan mountains in the distance. By late afternoon, you'll reach Laka Got, a temporary shepherd camp frequented by local villagers. 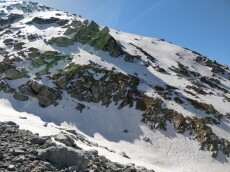 The campsite at Laka Got is placed near the snout of a small glacier, leading to patches of thick snow in the months of winter and early summer. Overnight at Laka Got in tents. One of the most scenic routes of the trip, today your journey reaches a climax as you trek to the Indrahar Pass. After an early morning wake up call, you'll begin trekking on narrow nature trails with gradually increasing altitudes. 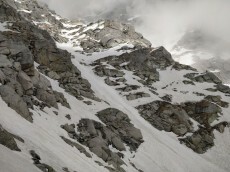 In the months of winter and early summer, the route to Indrahar Pass is swamped with deep snow, requiring proper trekking equipment. After arriving at Indrahar Pass, you'll spend some time admiring the beautiful views of the Pir Panjal mountain ranges, before beginning the trek back to Laka Got. Overnight at Laka Got in tents. Begin retracing your steps back from Laka Got and head back to McLeod Ganj. 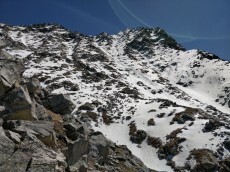 Depending on weather conditions, you might descend back on the initial route via Triund or take a different route via Bhagsu Nag. You'll arrive at the base camp in McLeod Ganj by late afternoon. Your trip ends here. After trekking for about 5 hours, you will reach the campsite at Laka Got. Here, you will be accommodated in dome tents on a triple-sharing basis. Sleeping bags and mattresses will be provided for a restful night's sleep. Your campsite also comes with a common kitchen/dining tents. Today's meal package includes breakfast, lunch and dinner. Overnight at Lake Got in tents. Today, you will reach the summit of this trek and hike to Indrahar Pass. You'll return back to Laka Got for the night and stay at the same campsite as yesterday. Today's meal package includes breakfast, lunch and dinner. Today's meal package includes breakfast before you arrive at McLeod Ganj. You may spend extra to buy lunch upon arrival in McLeod Ganj. Shiv Shakti guesthouse is located 10-min drive away from the McLeod Ganj bus station. McLeod Ganj is well-connected to most major cities of the country via flights to Gaggal Airport and trains to Pathankot Railway Station. You can take local transport via road to travel to McLeod Ganj from the airport (20 kms away) or the railway station (90 kms away).